Please join us for an exceptional afternoon of food history and a traditional Iraqi dinner. Professors Febe Armanios and Boğaç Ergene will discuss their book Halal Food: A History and then Hadeer Almogalli prepares a delicious meal of Arabic food prepared in accordance with halal practice. Please contact Barbara Shatara to reserve a book and a spot at the table… bshatara@burlingtonvt.gov or 802.865.7211. Have you walked by a “halal market” or eaten a meal from a food truck serving “halal food” and wondered what does that mean? Eating restrictions are part of many religions, but few outside a particular faith community understand those food traditions or how they came to be a part of the everyday life of millions of people. Halal Food: A History sheds light on the laws governing the diet of Muslims across the globe. The authors, Middlebury professor, Febe Armanios and her husband, Boğaç Ergene from the University of Vermont are both scholars of Middle East history. 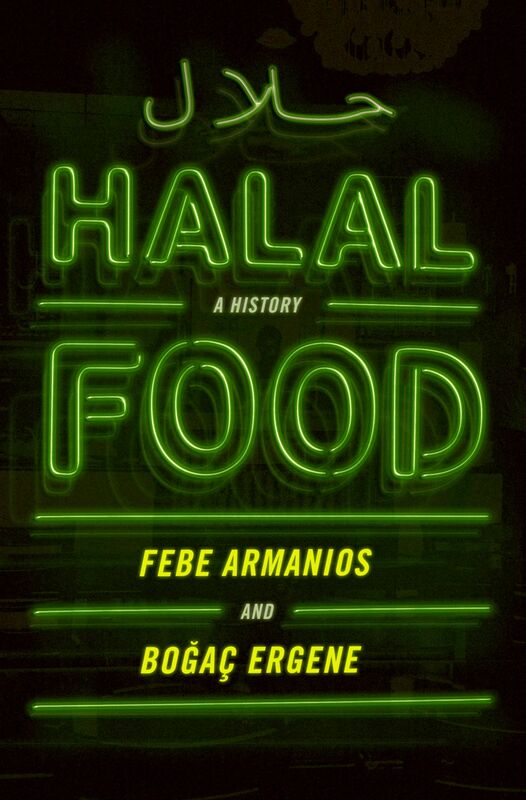 Their book explains the legal roots of these laws, debates over contemporary regulations and food manufacturing, and explores halal's current meanings in ethical and culinary terms. Historically, Muslims used food to define their identities in relation to co-believers and non-Muslims. Food taboos are rooted in the Quran and prophetic customs, as well as writings from various periods and geographical settings. As in Judaism and among certain Christian sects, Islamic food traditions make distinctions between clean and impure, and dietary choices and food preparation reflect how believers think about broader issues. Traditionally, most halal interpretations focused on animal slaughter and the consumption of intoxicants. Muslims today, however, must also contend with an array of manufactured food products--yogurts, chocolates, cheeses, candies, and sodas--filled with unknown additives and fillers. At the same time, blogs, cookbooks, restaurants, and social media apps have proliferated, while animal rights and eco-conscious activists seek to recover halal's more wholesome and ethical inclinations. Febe Armanios is Associate Professor of History at Middlebury College. Her research focuses on comparative religious practices in the Middle East, particularly between Christians and Muslims, ranging from food traditions and ritual pilgrimages to pious media. She is currently working on a book project that explores the rise of Christian television in the region. Professor Armanios has been awarded fellowships from the Fulbright Foundation, the Gerda Henkel Foundation, the John Templeton Foundation, the Andrew W. Mellon Foundation, and the National Endowment for the Humanities, among others. She has also been a Visiting Fellow at Harvard Law School (ILSP). In the past, she has served as an Editorial Board member for the International Journal of Middle East Studies, as well as on the Steering Committee for the Middle Eastern Christianity Unit at the American Academy of Religion. Boğaç A. Ergene is a Professor of History at the University of Vermont. He is the author of Local Court, Provincial Society and Justice in the Ottoman Empire: Legal Practice and Dispute Resolution in Çankırı and Kastamonu (1652-1744) (Boston and Leiden: Brill, 2003), co-author of The Economics of Ottoman Justice: Trial and Settlement in the Sharia Courts (Cambridge: Cambridge University Press. 2016), and editor of Judicial Practice: Institutions and Agents in the Islamic World (Leiden and Boston: Brill, 2009). In addition, he published articles in major history, law, and economic history journals, including International Journal of Middle East Studies, Journal of Economic History, Economic History Review, Journal of Family History, Journal of Interdisciplinary History, Law and Social Inquiry, Islamic Law and Society, and Continuity and Change. He is the co-editor of the Ottoman Empire and Its Heritage, a Brill Publishers book-series on Ottoman and Turkish History. Professor Ergene was the Aga Khan Distinguished Professor in Islamic Humanities at Brown University.